​ FROM Best Friends Animal Society. They provide excellent information. We ourselves have used these techniques and they work. ​There are a number of techniques that can be employed to help feral dogs or shy dogs overcome their fear of people. 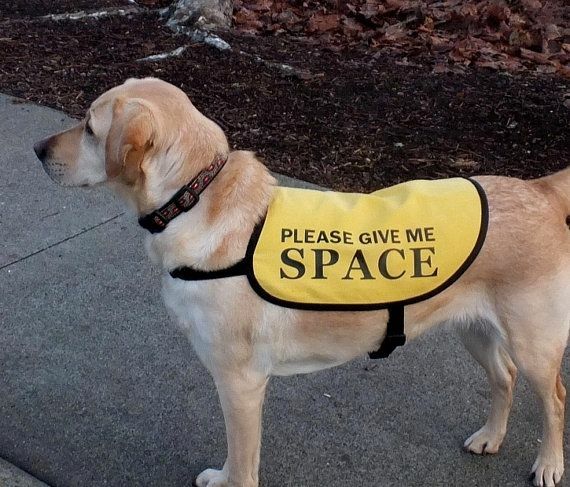 Give Me Space, Please ! Use a run no larger than 10 x 10 feet or 10 x 20 feet. If the dog can walk on leash, tether him to you for periods during the day while you go about normal activities. Allow the dog to “hang out” off-leash with people in an enclosed space. Don’t focus on the dog: don’t talk to him, stare at him, or solicit attention. Be prepared to reward the dog for behaviors you would like to encourage, such as making eye contact with you, moving closer to you or wagging his tail. His daily ration of kibble or treats are a handy reward for these behaviors. Bring the dog his food every day on a regular schedule, so the dog realizes that food appears at a particular time each day. You also want to remove the food bowl each day after a period of time, to accustom the dog to eating within a predictable window of time. When he is comfortable with eating when you are next to him, offer hand-feeding. Be patient: It is OK if he doesn’t take the food from your hand right away. Dogs frequently need to assess a change in situation before trying a new behavior. Some dogs find it easier to begin with you outside the run, offering hand-feeding through the fence. Continue to offer the food by hand throughout that session; do not return to using a bowl. At the next regular mealtime, offer hand-feeding again. Once he starts accepting hand-feeding, continue to hand-feed all his meals at the regularly scheduled times. When the dog is comfortable with hand-feeding, slowly work your way up to petting him. Pet him on the side of his body and head rather than reaching over him to pet him on the top of his head or back. When the dog is comfortable with you petting him, gradually introduce additional people and have them repeat the process, starting at step 1. Leave a long drag leash on the dog to make it easier to interact with him or limit his freedom to roam. Isolate him from your other dogs while you’re at home (put him in a separate room or crate). Hand-feed all his meals to him, to help him associate people with daily sustenance. Don’t stare directly at him. Approach him by walking on a curve rather than in a straight line toward him. Turn sideways and bend down rather than towering over him. Pet him on the side of his body and head rather than reaching over him to pet him on the top of his head or back. Use a trail of treats to encourage him to take small steps closer to people, starting with yourself. Allow the dog to approach people on his own, rather than forcing him to tolerate someone. Give the dog a routine; structure helps a dog feel more comfortable. For instance, have a set schedule for hand-feeding his meals, giving him walks, sitting with him to toss treats, handling and petting him (when he is ready). If it doesn’t frighten the dog, you can use a clicker to help the dog learn. You can start by clicking immediately before hand-feeding him a piece of kibble, and click for each piece you give him. The dog quickly learns to associate the clicking sound with food, a good thing. As the dog gets more comfortable, you can use the clicker to mark calm behavior, or any behavior that is an improvement over his current fearfulness. A clicker is effective because it is a unique, consistent sound, but you can also use a word, such as “yes” or “good,” in the same way, as long as you use it consistently to mark a behavior the instant it occurs, rather than before or after the behavior. Teach the dog simple behaviors to ask for things that he wants, whether it’s the chance to go outdoors, or to be given his food bowl or a chew toy. This is a way to build a dog’s confidence and develop a good working relationship with him, which helps reduce tensions and anxieties that may arise because of a dog’s uncertainties.